The word safari actually means journey and the choice of safari holidays in Southern African can be daunting. Journey in Style is here to take you on safari to see wildlife, untamed wilderness areas and luxury lodges. South Africa is the gateway to the world of safaris into Namibia, Botswana, Kenya, Zambia, Tanzania, Zimbabwe and Malawi. Take time to find the right safari package for your romantic, family, business or leisure needs. We all know that Kenya is the place of the safari. 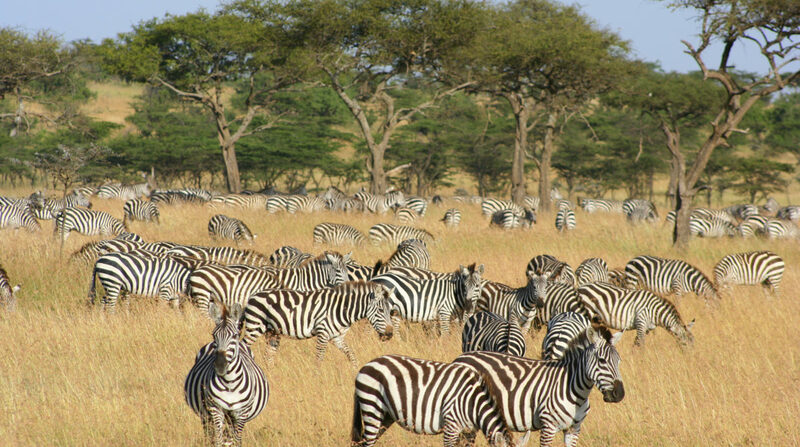 It is the African paradise of open plains and huge herds of game, huge cat predators and sensation hunts. Your safari into this amazing country can include the wonderful opportunity to see the famous Masai Mara and meet the Masai tribesmen as they go about their modest daily lives. Time your holiday for the Wildebeest Migration and enjoy sensational game viewing! Why not combine several safari adventures, taking you into two or three different destinations? This way you get to see diverse landscapes and wildlife, meet fascinating cultures and fine more time for you. An affordable starting block would the Victoria Falls – Botswana safari package. And you stay in a lodge called the Victoria Falls Safari Club – how apt! This can only be called top class accommodation in a destination that reeks with excitement. Enjoy stunning views over the pure African bushveld of the Zambezi National Park. Botswana is a hop and a skip over the border from Vic Falls and continues your safari into real wildlife habitat. Botswana is renowned for its lush conserved landscapes, dense herds of animals and thrilling predators. Your accommodation at Chobe Elephant Camp consists of sandbag walls filled with red Kalahari sand, designed to keep you cool and comfy while on safari in hot Africa. Find your suite on a rocky hill boasting sweeping views of the famous Chobe River. Plush modern facilities ensure your comfort in between exciting game drives into the Chobe National Park. The other option is to join a boat cruise down the Chobe River and you will more than likely see lions and elephant on the banks. Your safari is a journey in style when you head to landlocked Zambia and choose our involved itinerary that takes you to 3 national parks. When you experience the South Luangwa, Lower Zambezi and Kafue National Parks, you will emerge a new person. Being alone in nature is the best way to relax and find silence within. First up on your safari into Zambia is Nkwali Camp on the banks of the Luangwa River where leopards roam and elephants feed at night. Enjoy armchair game viewing from the comfort of your private deck or set off on fascinating walking safaris with knowledgeable guides. Later, plunge into the refreshing pool and meet friends for a nightcap at the bar. We also recommend Nsefu Camp in South Luangwa which harks back to the 1950s and was one of the first game camps in Zambia! Many agree that this is one of the best camps in the country and is found in one of the best settings in Luangwa. See the many hippos and crocs submerged in the perennial Luangwa River, the very life-blood of the South Luangwa National Park. Further south in the Lower Zambezi National Park, discover Chongwe River Camp for a great wildlife and boating safari. Immerse yourself in the breath-taking scenery and incredible wildlife here in the valley. Since 1996, Chongwe Safaris has been one of the oldest and most reputable companies in the Lower Zambezi - the camp lies right on the confluence of the mighty Zambezi and Chongwe Rivers, opposite the renowned Mana Pools National Park in Zimbabwe. Revel in daily visits from elephants which wander through the camp peacefully. Join Journey in Style in safari in Africa. All you have to do is name your dream destinations and we can tailor make your package to private lodges where wildlife viewing is paramount.